This entry was posted on October 20, 2012 at 3:21 pm	and is filed under news. 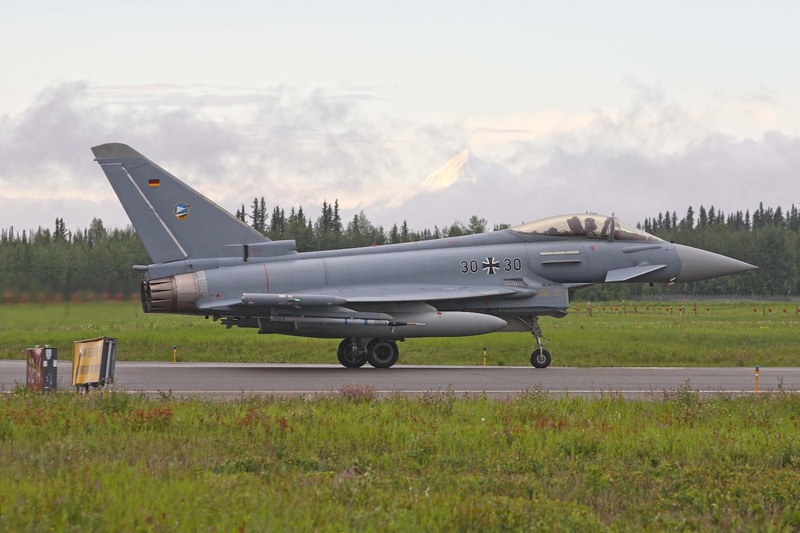 Tagged: aviation, EF-2000, Eurofighter, Eurofighter Typhoon, F-22, F-22 Raptor, irst, Luftwaffe, Raptor, Red Flag, Red Flag 2012, Red Flag Alaska, stealth, Typhoon, typhoons, USAF, wvr. You can follow any responses to this entry through the RSS 2.0 feed. You can leave a response, or trackback from your own site. 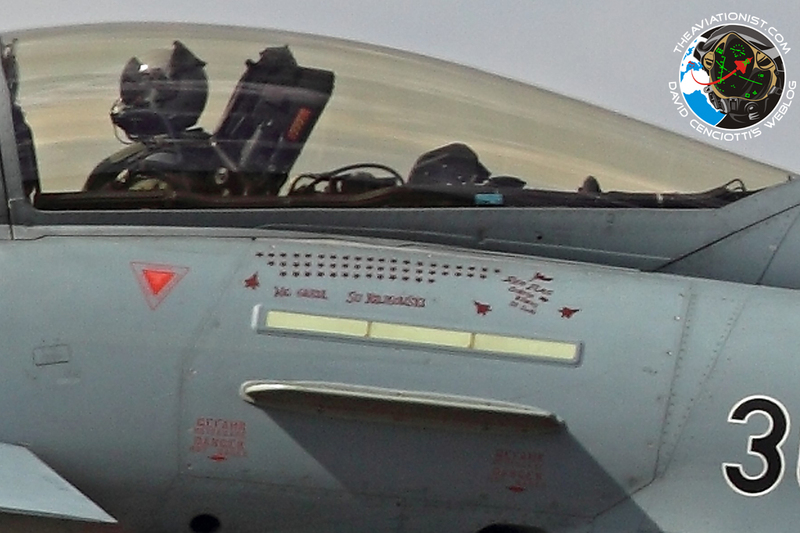 It is a fact that eurofighter typhoon is more maneuverable than the f22 , i had one question which was irritating me . Are the German pilots who operated in this red flag were aces? I don’t think there are any aces in Luftwaffe. Ace is, by definition, a pilot with 5 or more air-to-air kills, and German pilots didn’t really have much opportunity to become aces since the Korean war. That being said, both F-22 and Typhoon pilots are likely to be better than average in their respective air forces. I think that it should be made known, is the the Euro Fighter is like a tailored suit. It is tailored to each air force’s specs. Each European country has their specialties, Germany specialises in Electronic Warfare, France in Reconnaissance and the UK in Combat Systems. With that said, Luftwaffe Typhoons are not as capable as Royal Air Force Typhoons. This was also the case for the older Panavia Tornadoes. If you compare all of the Combat Systems of Europe, the UK always uses the most capable systems. Well, except for France maybe. Love the F22, and love the Typhoon. The two working side-by-side represents total superiority in the air. Is Colonel Grune German or American? I doubt an American last name would have the two dots above the U. That a clean, slick Typhoon is evenly matched with the F-22 in close-in dogfighting is not surprising. It wasn’t any cleaner than usual. If you’re referring to the cost post, price figures for the F-35 variants, F-18E and G and Rafale variants are definetly correct, while other values are most probably so. Is dogfight really relevant for the F22 who is supposed to be a stealth 5th gen fighter ? I thought that a plane that would deal with a F22 would not even know that their is an F22 in the region, he would simply be shot down without knowing where it came from. ?? Dogfight is always relevant, especially for the F-22 as it has no visual/IR sensors. Electronic identification is not reliable, IFF can be hacked or off, and NCTR is only some 30% reliable. AWACS is vulnerable to being shot down, and in any case data links can be jammed. 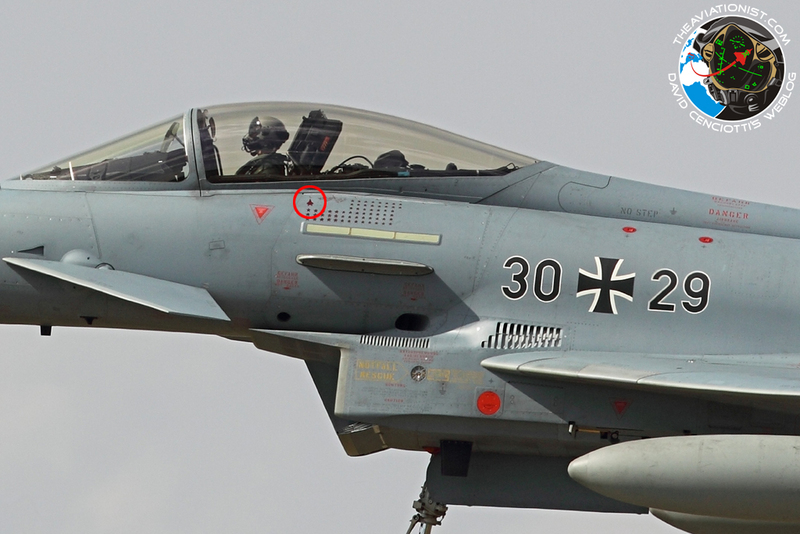 No AWACS means no (semi-)reliable electronic ID, which means either visual sensors – which have ID range of some 40 km (PIRATE, OSF IR channel) to 55 km (OSF TV channel) – or good old Mk.I eyeball. And against opponent with a proper EW/ECM suite, what you described won’t work anyway, even ignoring ID problems. Radar is an active sensor, so it will be detected by a competent RWR, which automatically negates F-22s stealth and gives away its position, preventing surprise. It can also be jammed, significantly reducing engagement range and making F-22 vulnerable to comparably short-range attacks. Even if F-22s own radar is not detected or jammed, AMRAAM is an active-radar missile whose radar will get detected and jammed during the endgame. Which again results in a miss and rough position of the launch platform (F-22) being revealed as either RWR, MAWS or both will have detected the missile and noted the direction it came from. And remember that BVR missiles are not one-shot-one-kill weapons (nothing is), in fact at long ranges that would be necessary for the F-22 to stay hidden, it is unlikely that any missiles will hit (unless F-22 gets equipped with Meteor, and even then most would still miss). F22’s are much superior to typhoons in a beyond visual range setting. A f22 would be able to shoot down a typhoon before the typhoon even knew that the f22 was there. In dogfight, f22’s thrust vectoring system evens the playing field bewtween the two. No, it would not. F-22 has no IRST, and radar BVR missiles are too unreliable anyway. You’d have to have two or three F-22s emptying their standard BVRAAM payload to shoot down a single target. All it does is fix certain F-22s aerodynamic shortcomings as well as improve supercruise performance. But TVC alone is not enough, Typhoon still has advantage due to (slightly) lower wing loading and smaller size and weight. Even after after a very detailed (where sensitivity allows) article about the 2 very different weapon systems, it amazes me that there are still armchair experts out there throwing ill informed statements around as if they are being paid to do so. You did read the article, right? Stealth in and of itself requires certain limitations on the airframe and the capabilities of such. As such it is not entirely surprising that a gen 4.5 aircraft could surpass the capability of a gen 5 stealth aircraft after the merge. One thing that helps a stealthy aircraft is that it is difficult to lock up on radar even at closer ranges that would be a definite lock on for a non-stealthy aircraft. Stealth applies not only to radar but to IR as well. Design aspects limit the ability of weapon systems to lock on to IR as well. Depending on the 22’s configuration relative to the opposing AC the IR signature is reduced as well. Both aircraft are very capable in their own right. Both are multirole aircraft as the f22 has proven recently. I think that perhaps the f22 and the Eurofighter will be the last of their kind. Future fighters will be drones as they can build more capability into a drone than a manned fighter. Airframe can endure more G without worry of a manned pilot, no environmental requirements – air, cockpit, ejection systems, etc. I think that we are so close to having fully self-contained drones that within 10-20 years will be the standard for fighter aircraft. Perhaps we are closer to the “Rise of the Machines” than we realize, lol. That is true… to an extent. IR signature is indeed reduced, relative to an aircraft of the same size, configuration and engine power. However, radar stealth requirements (internal bays, faceting, flat nozzles) result in aircraft requiring larger dimensions, higher weight and higher engine power for the same payload, and even more so if you want to have the same kinematic performance as a non-stealth aircraft. End result is higher visual and IR signature, meaning that radar VLO aircraft may well have higher IR signature than limited-LO aircraft of conventional configuration and similar overall capability. “Proven” is kinda optimistic. I mean, there was never any doubt that the F-22 will be able to drop bombs, eventually. What there was doubt about is wether it is cost effective… and in low-intensity conflicts, where A-10 can do as it pleases and F-15E, F-16 can also be used against fixed targets (the only type of targets F-22 can attack), the answer is decidedly negative. In high-intensity conflicts, UCAVs might well be more stealthy against high-value fixed targets, as well as more expendable. I am not so sure. Air combat and close air support both require good situational awareness, quick response and ability to adapt to unforeseen circumstances. Drones will take over some missions soon – SEAD/DEAD, they are already used for recon, and other similar missions – but it will be some time before they are able to undertake more complex ones. Ability to endure Gs is hardly the only measure of capability. Besides, there are many significant structural limits – engine and wings being most significant. So it is unlikely UCAVs will go much beyond 12 g, which is still within human pilot’s limit (Rafale C has only soft stick limit at 9 g, it can go up to 11 g if pilot wants it to). We’ll see. UAVs have been around as long as fixed-wing aircraft, and UCAVs have only appeared relatively recently. I’d guess that it will take at least few more decades before viable air superiority UCAVs appear, even if modern UCAVs are fully capable of strikes against fixed ground targets (as new designs should be).